I love the colors. The only thing I didn't like, is that it has white for the other side of both the duvet cover and the pillow covers. Dimensions 88.0 In. X 68.0 In. X 0.5 In. 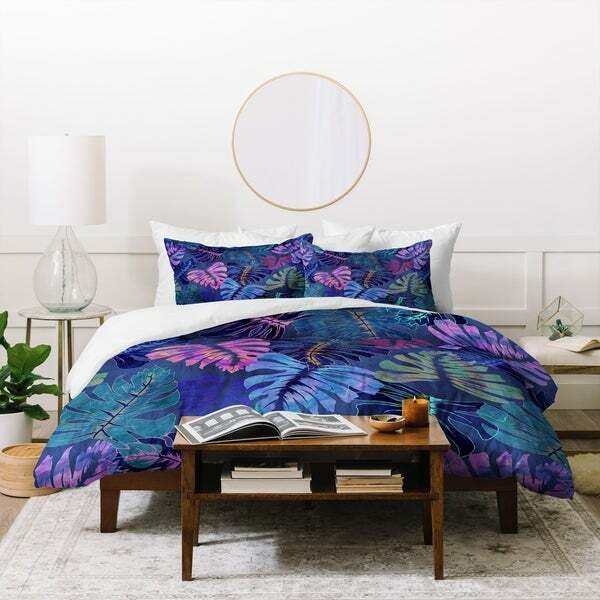 This is a gorgeous duvet, and looks exactly as shown. The material is incredible soft, but also very durable. The zipper is very well hidden yet very easy to use. Highly recommend.